In trying to do my part to support artists during this holiday season, I placed my first order to Artful Home. 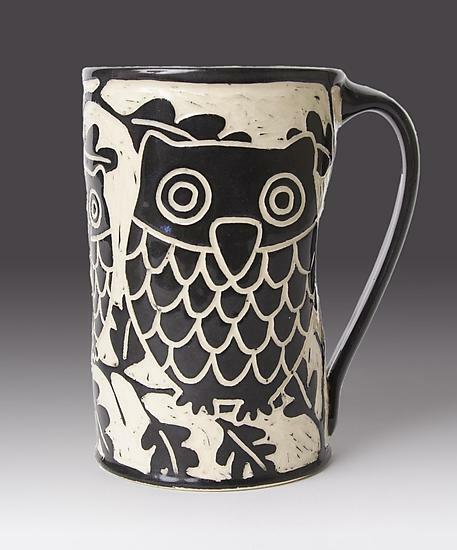 I ordered a pair of handmade ceramic mugs. These are technically my father's gift to me this Christmas, but I got to do my own shopping. Aren't they beautiful? The light clay base is covered in black slip, then hand-carved by the artist, Jennifer Falter. 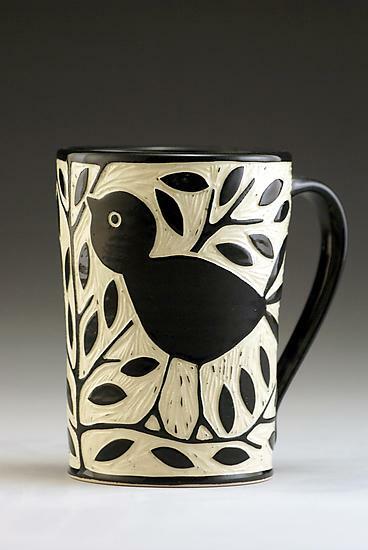 For bird lovers like myself, these should be perfect for that morning cup of tea or coffee. I hope you also have searched out some special artwork to grace your gift giving this year. Merry Christmas to all!